Jeffrey's Auto Body was founded in 1983 to provide residents of central New York with top quality collision repair. Through the years, we have built a great reputation for honest service, guaranteed work and commitment to our clients. 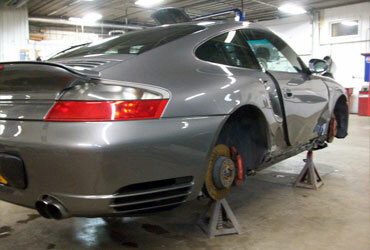 Jeffrey's Auto Body is independent body shop: we do not have any contracts with insurance companies - we work for you. That means we are your advocates when negotiating on repairs of your vehicle with insurance company. 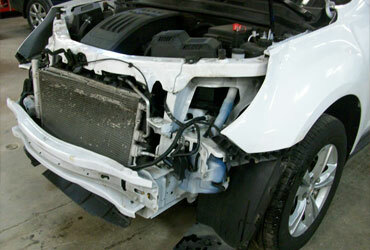 Jeffrey's Auto Body is Central New York's premiere repair facility offering complete spectrum of services. Jeffrey's knowledgeable and attentive staff will ensure that your car is repaired using manufactures recommendations and procedures. Jeffrey's only uses highest quality materials and Axalta paint system to ensure your car will feel and look like new! Give us a call today or stop by for an estimate! If you have an insurance claim, definitely use Jeffrey's. Just their reputation was enough for the insurance company to do the right thing. They were helpful and knowledgeable. Highly recommended. Only needed photos for insurance but these folks are always nice and helpful. In and out of there in 2 or 3 minutes. Done right by Accudesign © .